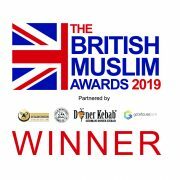 Salma Khan won the Award for Rising Star in Law at the British Muslim Awards 2019! Pickup and Scott has a team of specialist solicitors, with a wide range of expertise. Sometimes I think it is easier to explain what we do not do than what we cover, so let us start off with that. At our practice, we do not offer conveyancing; this is the service you need when you are buying and selling houses. We are also not able to offer Family Law which covers divorce, relationship breakdown and disputes regarding children. We do however have a strong network of local contacts and are more than happy to refer clients to other firms that can help with these areas of law. Private Law covers what happens to your money and property when you die, looking after someone who cannot look after themselves and generally protect someone’s property. These areas of law are very specialised and every member of our team who is involved in giving advice has been specially trained. We also have to ensure that our advice is up to date, so you can trust that we provide current and informed advice. There may not be an obvious link between the different types of law we cover, but our aim is to provide the best support to people who need our help. When you work with this range of specialist solicitors, there is no such thing as a typical day. Our lawyers may be going out to see people in court, in prisons, in hospitals, or in their homes if they cannot get to us. We often get contacted by people in police stations, hospitals and prisons, who need urgent help. So even if we plan ahead, our schedule can change as we provide an immediate response. With people coming in and solicitors going out, you can see the benefit of a strong team that also includes office-based staff. If you give us a call, you won’t get directly through to a solicitor. Be prepared to let us know what area of law you wish to discuss and we will ensure you get to speak to the right person. 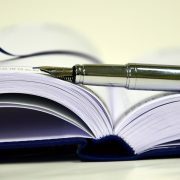 How to choose a solicitor? Over the last 10 years, the legal profession has changed considerably. It used to be the case that most solicitors’ firms covered all aspects of the law. Nowadays most firms specialise. This is due to the fact that legal work is increasingly complex and it is very difficult for anyone to know everything about everything. The first step in choosing a solicitor is to be clear about the area of Law that applies to your case. You can then search for the service you need on the internet, or ask professionals, family and friends for recommendations. A good place to start is to visit a number of solicitor’s websites to see the services they offer. Be aware that the specialist solicitors that would be best placed to help you may not be based in your town. With modern technology, you may find you would benefit from the services of a solicitors based miles from where you live. If travelling to their offices is difficult or inconvenient, it may be possible to communicate via email or Skype. Local advertising provides a good way for firms to share their specialist areas. As a good example, Pickup & Scott ran a radio campaign to promote our expertise as immigration solicitors, which is one of our specialist areas. As a result, we were contacted by people from a broad geographical area. We knew that it would be difficult for some families to visit our Aylesbury offices, so we travelled to them. If it would help you to have a translator, an accessible office or a solicitor willing to travel to you, ask if these services are available before you choose your solicitor. It can make all the difference. Given that so much has changed, has the high street lawyer got a future? In our view, there will always be a place for a local lawyer. As part of the community, they should be approachable, able to give advice on a range of subjects and if necessary refer matters on to another specialist. http://www.pickupandscott.co.uk/wp-content/uploads/2017/06/DSC_0559-copy-e1499417195968.jpg 807 1250 @framework http://pickupandscott.co.uk/wp-content/uploads/2017/09/pickup-and-scott-solicitors-aylesbury-logo.jpg @framework2017-11-05 12:12:332018-01-16 12:57:31How to choose a solicitor?